Now I know what you’re thinking…that’s a lot of colour there, and yes, it’s not a monochrome look for once! Today I thought I’d share with you a more spring-like outfit I came up with to attend an event a few days ago. 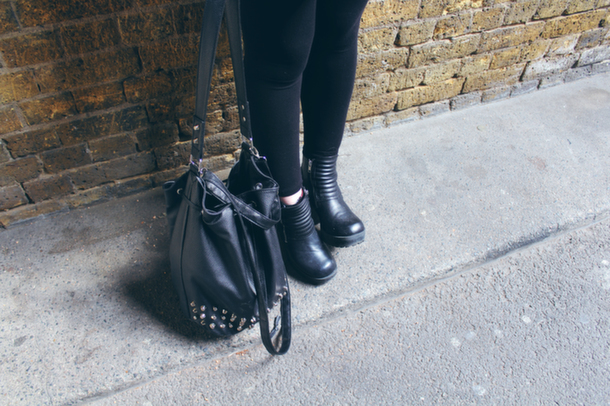 My lovely blogging partner-in-crime Jade from Nouvelle Noire took these snaps for me, so big thanks to her! I was obviously feeling hot pink, all thanks to this amazing Topshop jacket I picked up in the boxing day sale ages ago. Sometimes it’s good to go all out in colour and on this particular day, I did just that, with bells on. 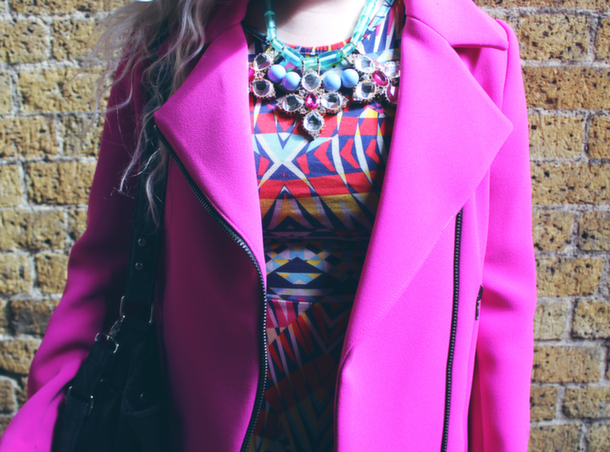 This outfit is one I put together for an afternoon tea with Amazon to celebrate their latest Dress Shop. We went along to see the collection and pick our own dresses, but a full blog post will be dedicated to that event, very soon! On to the outfit, and the dress I chose to bring out the pink tones, is from Boohoo. This dress is actually on sale now for just £10 (here) and is super flattering on, it always makes me feel put together. To keep the outfit ‘me’ and to stop if from being too feminine, I went for my clunky H&M boots which you guys know I adore. Leggings are a must with this dress, as on me, it’s on the short side!